Ron Paul appeared on Jon Stewart's The Daily Show. The interview is simply awesome. Stewart treats Dr. Paul with respect and Dr. Paul gets the opportunity to discuss many of his views in detail. Go to 21:45 of the full show...the RP interview includes an additional ten minutes. Agreed the interview was awesome. But I do think that Dr. Paul has to explain how the free market really would do a better job than regulations. He can explain how laws grant explicit immunity to corporations and how common law gives anyone standing to sue for redress that has been harmed, or can demonstrate harm. I'm not sure if he wants to go there, but he show how the concept of limited liability is an affront to the free market. Those who make the decisions, and those who BACK them, even passively (ie shareholders) need to understand that bad decisions have consequences. 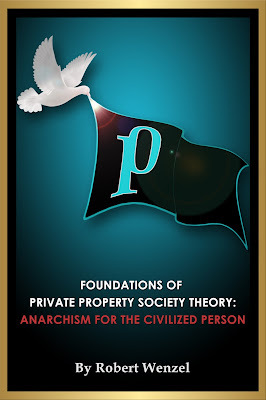 Someone needs to send Jon a copy of one of Rothbard's books. You can tell he wants to endorse Ron's policies, but doesn't yet fully see how they would work. Happy to see him get air time, but I actually thought it was a little lame and unmoving. I liked the interview, and I love Ron Paul, but wish he could articulate the free market position better. Jon's basic worldview is that government has a role to protect the little guy from bad corporations. Ron needs to go for throat, and make the case that government in fact enables the bad behavior that Jon detests, and the furthermore it is markets that actually reign them in. The recent crisis makes a perfect case-study - instead of bailouts and cronyism, in a Ron Paul world the rotten, corrupt banks go out business. Jon asks many times "do have an example of your philosophy working", to which Ron should always say "Yes! It worked fine before the corporate interests took over. Here is where the system went off the rails...". My point is, Ron could do a better job making the case to Joe Average. I would really love to see Tom Woods work with Ron to get his message out. 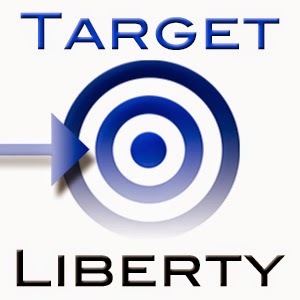 Libertarianism is marginalized as a crazy fringe movement. 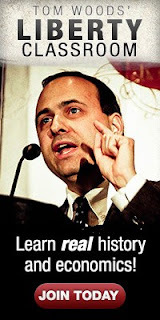 When Tom Woods speaks, he makes the establishment look like the lunatics and makes the libertarian view look like the logical, sane position. I think Ron Paul is awesome, and he is the only politician of this generation I could even consider to be a political hero. But he should fine-tune his message, as I think it would help him pick up some more support. I liked the fact Jon Stewart is cordial/friendly with Ron Paul and admires his consistency in positions. The sad thing is about this interview is that it's obvious that you can't explore the full depths of a liberty minded philosphy without at least an hour of solid interview time...probably even 2 hours really. Can we count on the sheeple to get curious and spend a few hours reading on their own to better understand just the surface nuances involved? I think not....Mencken had it right unfortunately. Shimshon wrote, "I do think that Dr. Paul has to explain how the free market really would do a better job than regulations." Danger Pioneer wrote, "because of preconceived notions perpetuated by ignorance. ... a potential convert in the same way that much of America could be"
Ben Kennedy wrote, "wish he could articulate the free market position better. ... My point is, Ron could do a better job making the case to Joe Average." I'm not so sure the Average Joe wants to know. Joe and Jane seem quite content remaining in Dreamtime for as long as possible. I tried articulating the free market position on blogs such as thehousingbubbleblog.com a number of times and it didn't seem to go over too well, surprisingly there was fierce resistance and numerous aggressive responses. Informing them about the free market, it was as if they were being personally insulted. Everyone should give it a try sometime and see how it goes? That's what needs to happen more, I think. When Stewart said "shouldn't there be a middle ground between a completely free society and a totalitarian government", Paul should have said, yes that is libertarianism and a limited government and what he is fighting for. Not what we have today. Stewart made a comment about "those of us who know about the history of the Industrial Revolution" as a counter to Paul's comments on the stricter self-regulation of the free market, taking the conventional wisdom position that people were exploited, greed ran rampant, and humanity was worse off because of it. I think Paul really missed a great opportunity here, because we all know he knows the REAL history of the Industrial Revolution, i.e., it resulted in the greatest expansion and dissemination if wealth, prosperity, and quality of living in the history of humanity. He could have also made the point that any "exploitation" and greedy activity was entirely due to businesses colluding with government In order to take advantage of its arsenal of force to coerce competitors to comply and nullify the free market. Finally, he could have made the point that relying in accountability to those accountable to voters is naive given their history and the fact that the voting process has utterly failed in providing a suitable motivation for politicians and regulators to act responsibly. "Tom Woods definitely needs to get in on the campaign in an official advisory position... "
"I would be thrilled to put something like this together, but my nominal presence on Revolution PAC precludes communication with the campaign, and in any event certain people there would allow my participation over their dead bodies. " "I can't communicate with him because of Revolution PAC. But even if I could, it would have to be via back channels. I am persona non grata with the powers that be." Of course, the campaign finance laws are ridiculous, but never mind that. But how could 'certain people' close to Ron on the campaign actually not want Tom Woods around? That blows my mind. Why should the libertarian candidate not have one of the best libertarian messengers of recent memory on staff? This election is a huge opportunity. The Reagan ad was a misfire. The Jon Stewart interview could have been a turning point, but it wasn't. I hope that there is someone out there who get the word to him that he needs some help on this. Stewart wants to like Paul, but the interview derailed after he asked whether we should be allowed to vote for the guys in govt. to regulate things or acquiesce in the corporations taking care of it themselves. I've seen RP knock it out of the park before, but this was not one of his better efforts. JS was not persuaded, if not outright dissapointed at the end of the clip imo. I think we'd really just like to see Tom Woods on Stewart's show or any other program where he'd actually get to talk about the issues. Stossel and the Judge just aren't mainstream enough to get him up there as much as we'd prefer. While I like Ron Paul and I'm sure Tom is not at all interested in getting into politics he's one of the most eloquent proponents of libertarianism when it comes to public speaking ability. these loans are especially designed above an obligation totally free platform. Problems such as defaults, arrears, bankruptcy, CCJs and even IVAs are not regarded here. There is minimal paper operate necessary on the aspect of borrower. Applying for these loans is also quite convenient. Many people just call for filling an web based form and when this gets approved money is received within 24 hours time frame. These loans are frequently offered under handy terms and situations.